Röchling Medical’s competencies are not restricted to the production of containers alone. As a supplier of complete packaging systems, we also supply appropriate caps, closures and inserts. Like all of our products, these are manufactured and assembled in our clean-room environments. 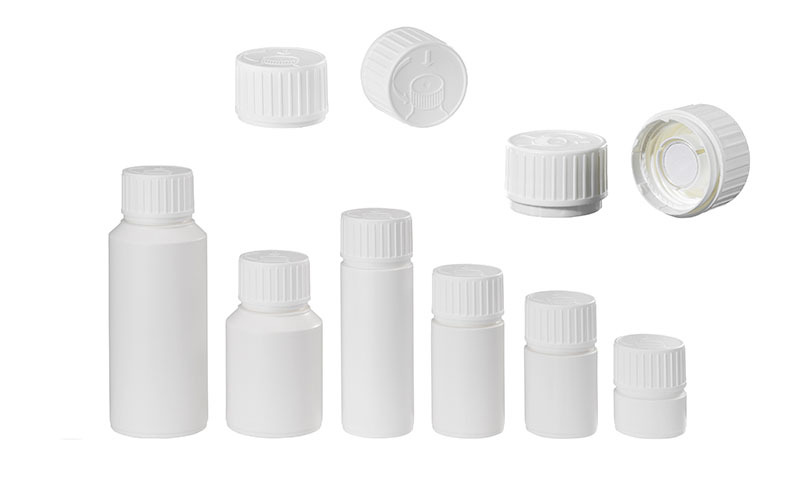 We offer our customers a comprehensive portfolio of closures, caps and inserts (such as droppers, for example). In addition to our standard range, we also develop customer-specific products. Thanks to our high level of competency and extensive experience in this field, we are able to offer these for both glass and plastic containers. For example, in addition to our two-piece, child-resistant, senior-friendly PP28 cap—which is fitted with a tamper-evident closure, and is available with or without a liner—we also offer a matching measuring cup. 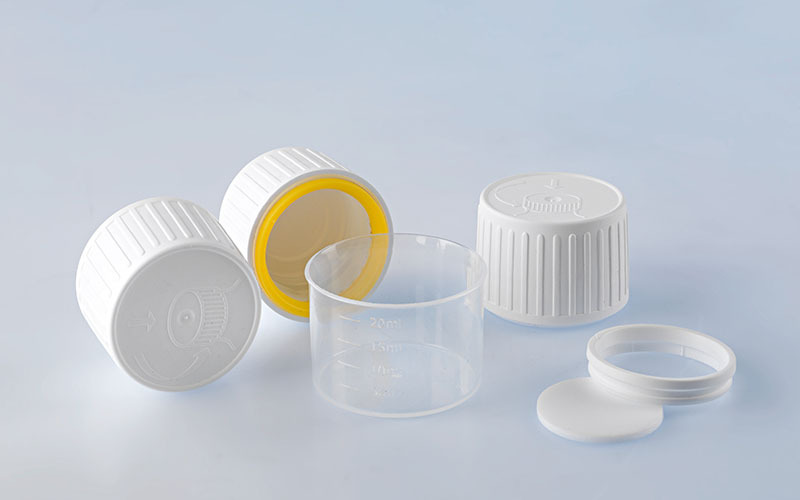 This cap is certified in accordance with ISO 8317 (child-resistant closures), and is used in human medicine, for example with syrup bottles and also on glass bottles. The available sizes range from 28 – 53 mm. We also develop and produce caps for tablet jars of all types. These two- to four-part caps are child-resistant, senior-friendly, have tamper evident closures and are available with or without dessicants, and are used in human and veterinary medicine. These caps are also ISO 8317-certified. 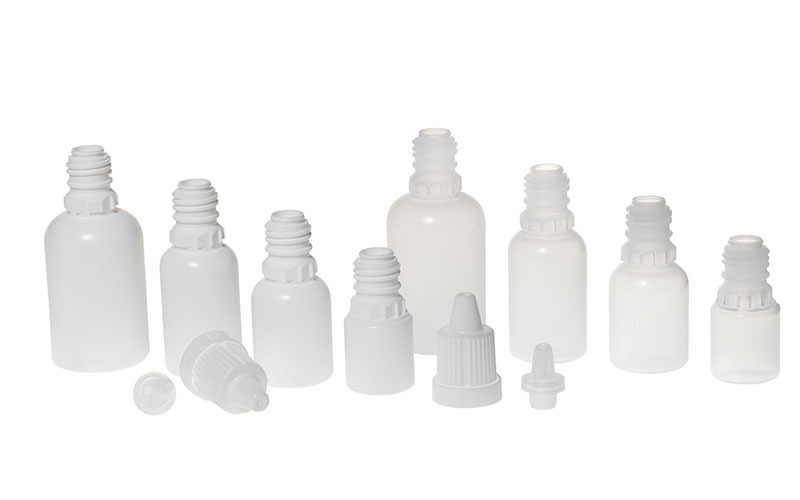 For our standard series in Ophthalmic section we produce suitable tamper evident caps and droppers to our bottle series (5-30 ml). This product line is used in addition to the Ophthalmic also in other fields of application. Of course, we also develop and manufacture these products according to customer specifications, and offer not only clean-room production but the option of additional sterilization.